“Loss can feel huge in those hours following death,” I agreed with a sympathetic nod. My friend’s story was all too familiar. I was able to add that I’d heard similar stories from people who work as EMTs and CNAs, in addition, of course, to the calls we death doulas receive. It is true. I believe part of it is the bigness of the sense of loss, and perhaps the surreality that accompanies seeing our loved one there, yet not. Too, I suspect some of it is the strangeness and power of the implication of it all. There you are, alive, with someone who is not – what does that mean? For you after the loss, and for you and your relationship with your own mortality? If your culture is one such as ours, where you don’t have much experience with the dead beyond showing up at a funeral home in a suit and tie or pretty black dress, to pay your respects at the casket for a few moments, in a room of others milling around equally restless – or perhaps attending a memorial service – then the idea of finding yourself alone with the body of your loved one who quite literally just departed, can be quite disconcerting, if you allow yourself to think n it. Yet, while I get it, I can’t help but feeling saddened by this. The first time I found myself alone with the dead was when I was 11 years old. A friend and I had discovered her mother’s body after school. She ran next door to get help, and I stayed there with her mom. I know may sound strange, but I had this sense that she shouldn’t be alone. Somehow it felt like it had to be done, that it would be disrespectful to leave her. Perhaps this was a strange twist of foreshadowing to my future work as a death and mourning doula. Whatever it was, it was what must be done, I knew it in my bones. I remember sitting on the ground next to her, crossing my legs. My knees were mere inches from her form. A sense of stillness flowed over me, through me, yet it wasn’t static, but rather a rippling kind of stillness. It flowed through the room, through all. Nor was it an empty stillness, but a rather pregnant one, if you will. Death has a presence; I experienced it that day, and I’ve seen it repeatedly since that time. It’s a full, deep presence. It isn’t frightening, unless you apply and compound your own thoughts to it. If you simply stay present, you can find the beauty in it. Perhaps a bittersweet, heart-heavy beauty, but a beauty nonetheless. There’s something to it. Something healing in it, as if it allows you room and space in which to process, to make peace with it, to come to terms, heck just to let it all sink in. Perhaps, though, it is that deep, still presence that throws people off. Perhaps joining together in a room under someone else’s roof, with a large gathering of friends, can help us avoid fully acknowledging that stillness, that presence, and that’s why we can’t wait to just “get the body out of here,” and we very much don’t want to find ourselves alone with it. For that still presence contains so much, if we open our mind and hearts to it – and that idea can frighten people. For that, my friends, is the real message of death. It’s the contrast, the end of it all, the finality of it, that gives shape to life, gives power and beauty and wonder to all that is. If life were static, and never-ending, there would be nothing to distinguish our days, nothing to mark one differently from the next. Rather, it’s the fleeting beauty that splits us open, and allows our love, and lives, to multiply. I encourage you, friends, if you are ever asked to “Sit with the dead,” take the opportunity to sit with the presence of death, and perhaps more importantly, with your own personal presence with that presence. You will learn much about life, and how to live more fully, if you can learn to simply be in stillness with the dead. As always, if your heart feels moved to explore working with the dying or the mourning, please check out our 6-in-1 Training Program for End-of-Life, Death, and Mourning Doulas at www.mourningdoula.com, home of Momdoulary’s Passages Program. It’s a wonderful way to bring support, kindness, and conversation to your community, while creating a rewarding career for yourself at the same time. Create an amazing day for yourself! 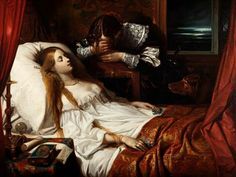 This entry was posted in blog, death, death and funeral history, death doula, grief, home funeral and tagged death, death doula, grief, loss, mourning, sitting with death, stillness. Bookmark the permalink. ← What is Coffin Birth?